I've just bought a domain name for my business and was offered a good deal on web hosting, should I buy it? Before we answer this question, it would help if we understood a bit more about what web hosting actually is. Web hosting is essentially a leased space where you can upload your website and make it accessible to users on the Internet. 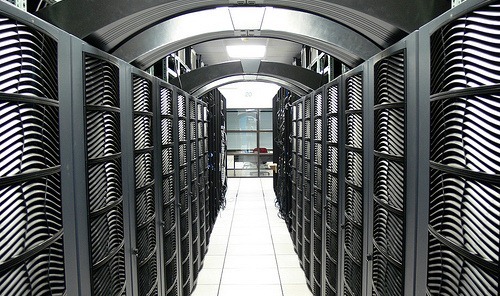 Websites are hosted in data centres which have very fast connections to the internet, they essentially consist of many special computers called servers. These servers can host anything from one to many hundreds of websites each. “Web servers” as they are known can use different operating systems too, much the same way as desktop computers can run Windows Vista or Apple OSX, they can also come preinstalled with many different types of software that you can use for your website. As you can begin to see web hosting from one company isn't necessarily comparable to web hosting from another. There are lots of factors you need to look at to compare one service to another, and as with computer software, some packages are not compatible with different servers. As a general rule, we ask customers to avoid purchasing web hosting because the package you purchase might not be suitable for your website. The CMS (Content Management System) might not be compatible, the server might have too many other websites running on it which may make your website slow to load. There can also be hidden charges such as extra bandwidth bills if your website becomes really popular or you have videos or other large files on your site. WHOIS is an essential domain name researching tool. It will help you determine the availability of a domain name. If a domain name is already taken, it's often used to find out the owner or registrant's details or find out when the registration expires. You can discover who owns a website by performing a WHOIS lookup on the domain, which can be useful if you want to enquire about the possible sale of a domain name that’s not currently available. On many occasions domain names are purchased and go unused and therefore if you find a domain that is registered but not currently being used, you maybe able to negotiate a price with the WHOIS registrant. There are a number of websites on the internet that let you query the WHOIS system. To find information on a .UK domain name you can use the Nominet WHOIS service below. The registrant listed on the WHOIS database is normally considered to be the webmaster for that domain, responsible for administering the domain/website and is not necessarily the owner. In an ideal world you will be able to purchase the perfect domain name for your business, such as www.businessname.com or www.productname.com , but in reality a lot of the most popular domain names will have been taken already, hopefully not by your competitors! If you are unlucky and your perfect domain has already been taken and is not up for sale, you will have to find the next best domain. Fortunately many websites that sell domain names have a feature to help you choose variations of a name that aren't already registered. Don't forget that as well as .com and .co.uk, there are other so called top level domain (TLD) extensions such as .net, .org, .info, .biz, etc so it might be worth considering one of those. Having several domain names can also be an advantage if visitors are typing in your domain name from memory and add a hyphen or type the wrong domain extension (.com rather than .co.uk) because they will still end up at your website. You may even consider buying domain names that are common misspellings of your website. Country-specific domain names will also normally get preferential search rankings from localised search engines such as Google UK. Think about the goals of your business, will you still be selling the same product in 5 years? An example would be Carphone Warehouse, does anyone still own a car phone? Luckily this doesn't seem to have affected their business. If possible try to include keywords in your domain that relate to your business. A good example of this is B&Q's domain name www.diy.com. Try to keep the domain name short and easy to remember. Try to buy a domain that represents your brand. 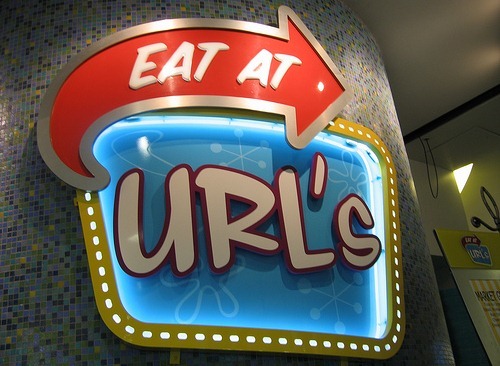 Does the domain name you have in mind appeal to your clients/customers? Purchase domains names of your trademarked products, even if these wont be your main business URL. Does the name you want have a different meaning in a different country or culture? This is especially important if your business is international. Was the domain name previously registered? If so was it owned by a spammer and banned from search engines? Is the domain name you have in mind available as a .com and .co.uk and a .net etc? Avoid buying domain names with too many hyphens as these can look spammy* and be difficult to communicate to others verbally. I would recommend that if you register any domain names you like sooner rather than later, as there is a good chance that if you leave it too long they will no longer be available. I would also advise that you do not type in domains into your web browser just to see if they are taken and instead use a registration tool on one of the many domain name registration sites. * Websites with domain names consisting of lots of keywords separated with hyphens are considered spammy because this was a technique abused by some search engine optimisers (SEOs) to try and help their sites rank better.